This term we have been looking at using Bar models to represent addition and subtraction sums and calculating the answers. I have been extremely impressed by the way both and Eva and Beth have approached their learning and how they have challenged themselves. 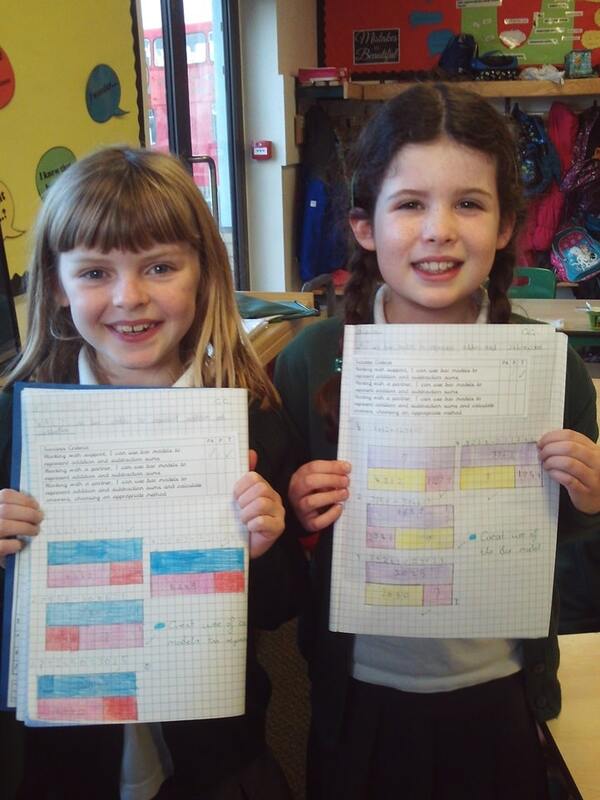 A target for them has been to work independently and they have grown in confidence by pushing themselves to draw the bar models and calculate the answers. Well done!